If you are a fan of the thorny fruit? Get ready for an indulgent treat at The Line, Shangri-La Hotel, Singapore, which has brought back its durian buffet! 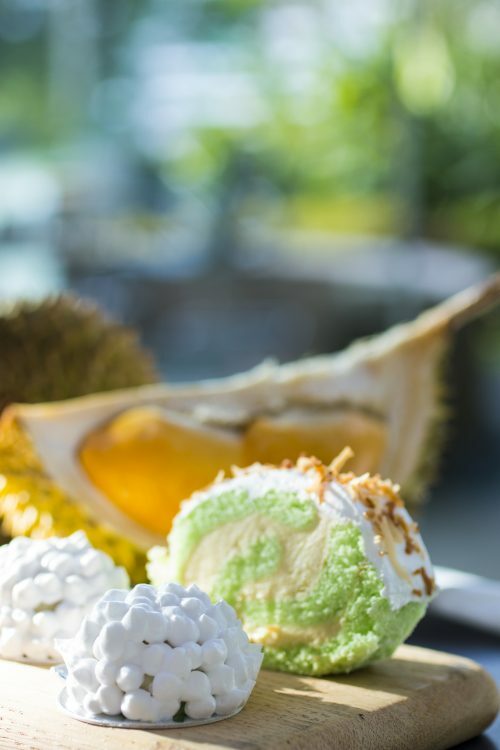 Available during dinnertime, the buffet features three popular durian varieties — Hong Xia, D21 and D24 — as well as favourite tropical fruits such as rambutan, longan and mangosteen. During the buffet, there will be an outdoor kiosk where chefs will crack open the Hong Xia, D21 and D24 à la minute, and hence freshness is a guarantee. Thick and creamy, both the D21 and D24 are known for their mildly sweet flavour profiles. The Hong Xia (red prawn) is the sweetest variation in town and boasts a vibrant orange-red flesh. Opting for just the Durian and Local Fruits Buffet $58++, you can have free flow durians and help yourself to a variety of local fruits. If you are spending more than $100 on bad durians sitting by the roadside, this is a great option to bring your family to! 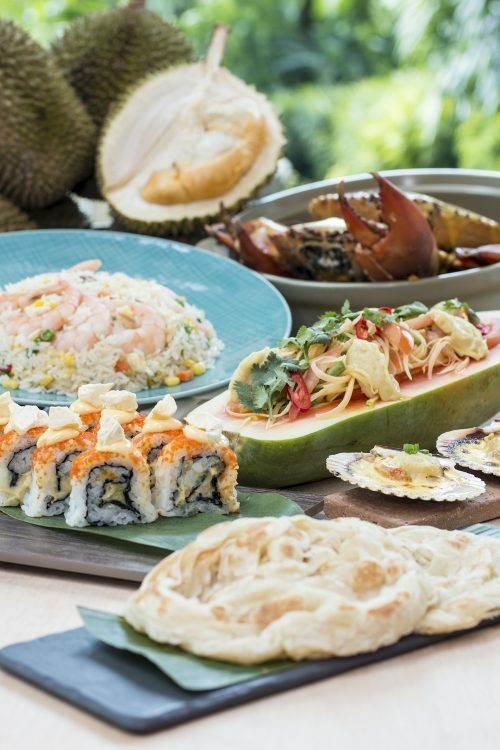 The durian spread will be added to The Line’s already extensive smorgasbords, including Marine Harvest on Tuesdays and Thursdays, which features a variety of seafood mainstays; and Mad for Wagyu on Wednesdays, which showcases wagyuin various styles, from carvings to aburi and sukiyaki. 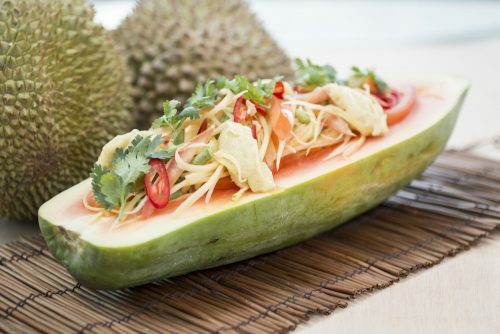 There will be a wide array of savoury and sweet durian-themed dishes. 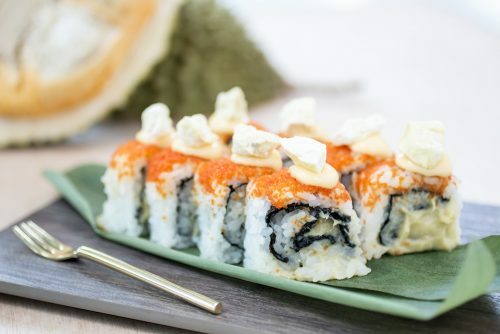 The chefs will showcase their creativity with dishes such as Durian Fried Rice, Durian Miso-glazed Scallops, Durian Crab, Durian Prata and many more. Sweeten the memories with offerings such as Durian Pudding, Durian Tart and Durian Dome. The dinner buffet is available from 17 July to 31 August 2018, except on Mondays, 6pm to 10pm. 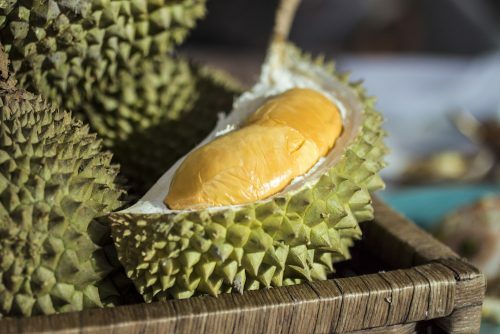 There is also a durian and local fruits buffet, where durian lovers can eat to their hearts’ content the three durian varieties — Hong Xia, D21 and D24 — as well as rambutan, longan and mangosteen. FITNESS MOVEMENT NATIONALS For It’s Sixth Year At The NUS University Cultural Centre.